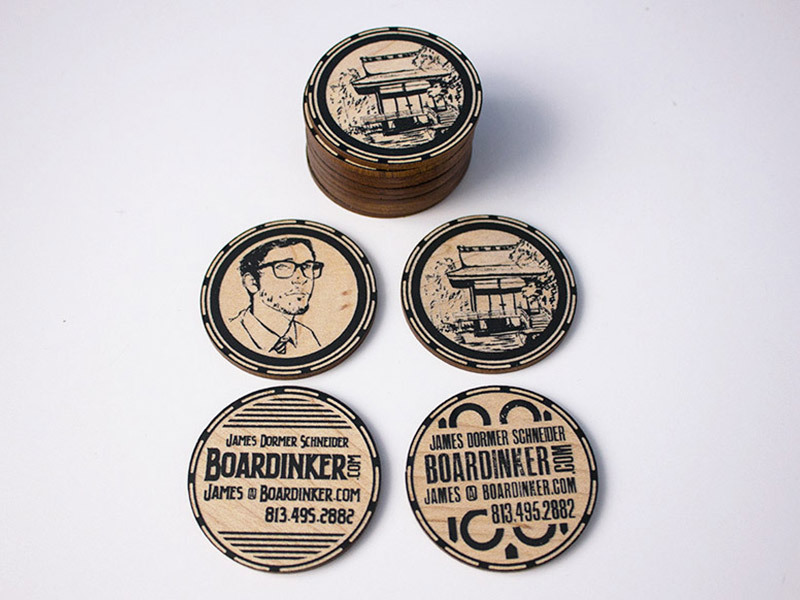 Boardinker - Poker Chips - Pure Black, Inc.
Love the way these poker chip promotionals came out for the amazing illustrator James Dormer Schneider aka Boardinker. Inverse Engraved and laser cut, black on maple. Too nice.